Kerri is our head surgical and anesthetic technician. She has been a team member since 2009 - she technically came to fill in for a technician on maternity leave and never left!!! We are so thankful to have her expertise in the surgery room and in the laboratory. She is the person that keeps all our machines and equipment maintained and up to date. It would be next to impossible to run Bay Breeze Animal Clinic without her by our side. Kerri currently lives in Calallen with her husband -Mark and daughter - Ryhlei. She has a heart for all naked critters whether they are hairless Chihuahuas or sphinx cats. They have a full house that includes 2 hairless Chihuahuas (Louie and Daphne), 2 labs named Rhandi and Sophie, 2 lab mixes named Jase and Willie, 3 cats (Murphy Jack, Rascal and Maggie Lala). we can't forget the critters with scales - a Pied Python named Kallari and many exotic salt water fish. We love having Kerri on our team!!! She will be missed once she leaves at the end of this month! Gina is one of our great room technicians. She started with Bay Breeze September of 2018. 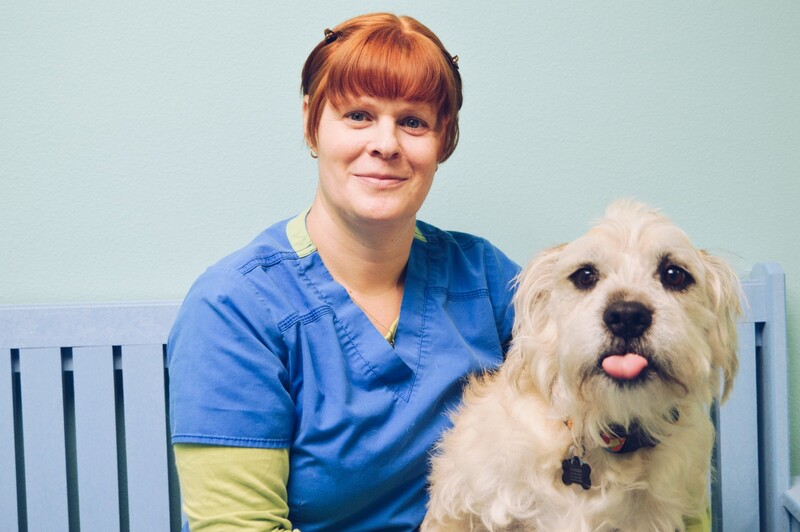 Gina enjoys the everyday challenges of veterinary medicine and helping to improve the lives of our patients. She assists the veterinarians with all aspects of patient care and helps to ensure patients receive the best treatment and attention. Gina also educates and answers any questions our clients have in regards to their pet’s health. 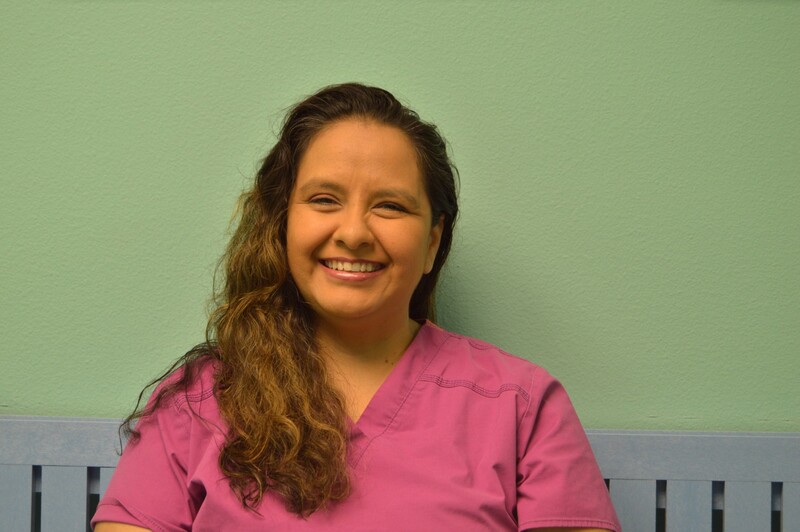 Gina has earned a veterinarian assistant certification from Del Mar College and is continuing to further her education in becoming a certified veterinary technician to help deliver the highest quality of care for our patients. Outside of work, Gina enjoys being outdoors, photography, movies and spending quality time with her family and Doberman Bandida. Jae joined us in February of 2019. Jae graduated from Texas A&M University-Kingsville with a BS degree in Veterinary Technology and is a Licensed Veterinary Technologist. She enjoys working with animals of all kinds, and specialized in wildlife research and medicine during college. 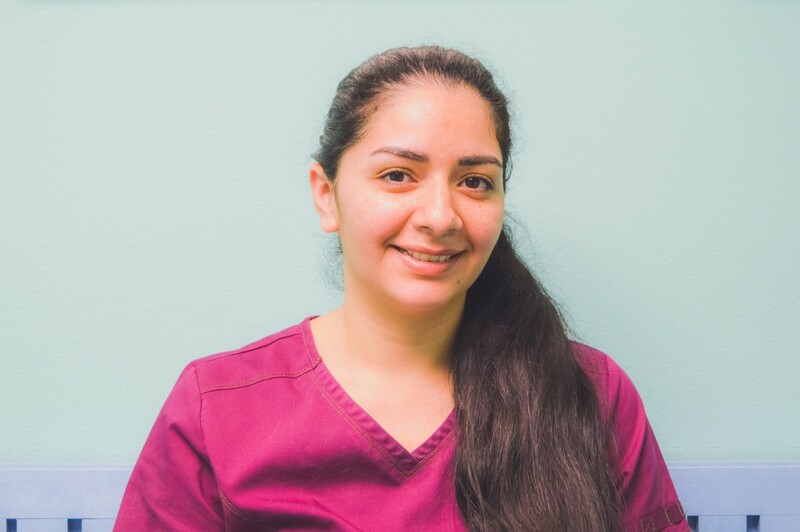 Jae is passionate about providing low-stress care to all of her patients and strongly believes in the Fear Free approach to medicine. Jae enjoys spending her free time outside: hiking, hunting, fishing, riding horses, and driving all over the country with her husband, Tyler and 2 dogs, Nala and Penny. For Jae, anytime spent outside is a good time. Jessica is another one of our wonderful veterinary technicians. She has been in veterinary medicine for 16yrs now (emergency, general practice and specialty surgery.) Jessica moved to Rockport in the summer of 2014 then made her way to BBAC shortly after. Jessica enjoys spending time with her family and an occasional fishing trip. She lives with her son Carter, and Catahoula Mix Galoot. Jimmy has been an amazing part of the BBAC team since 2010. He is always there to help anyone at any time no questions asked. He has become known around the clinic as the "Cat Whisperer". Any fractious feline that comes in he is there to calm and secure the safety of staff and patient. When he is not working or doing weekend kennels he enjoys numerous activities like fishing or skateboarding with his nephew Gavin. 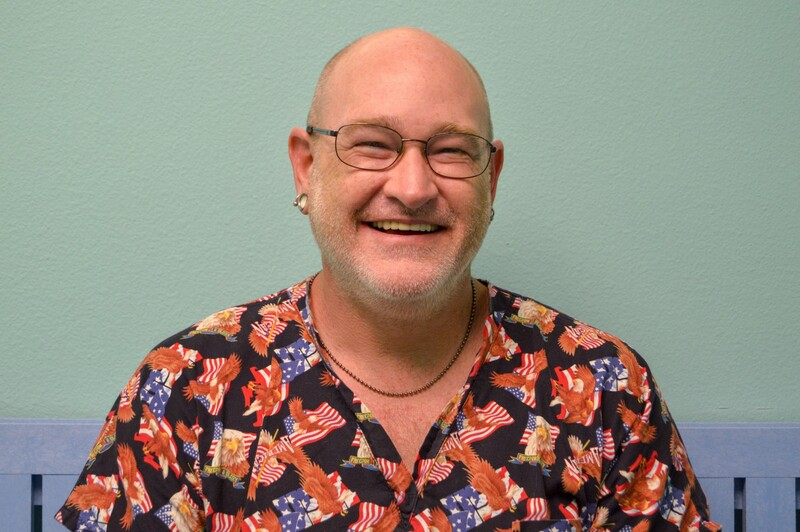 Jimmy currently lives with his 2 furry four legged recused babies (Penelope and Hank) and numerous reptiles ranging from bearded dragons, turtles, exotic snakes and lizards. Originally from Colorado, Julie moved to south Texas in 2013 brining her two horses, one dog, one cat and six box turtles. Her family has quickly grown since being here, and like many on our staff, she discovered her love for animals at a very young age. She began to pursue her dreams of caring for our furry companions by working at an animal shelter in junior high and then heading straight for a veterinarian technician institution of learning right after graduating high school. Julie has been working in the veterinary field since 1992. Between her experience in veterinary medicine and her spunky sense of humor, we are thankful to have her on our team as a receptionist. Outside of the scrub life she enjoys riding her horse, biking, swimming and cuddling with all of her furry friends in her zoo. Laurie moved from the Hill County from Blanco, TX in 2016 with her family. She has been a receptionist and in customer service for many years. She is new to the veterinary field but has been around large animals all her life. Outside of work Laurie likes to spend time with her large family. She has been married for 12 years to her husband Bobby. They have 1 son (Ty) and 3 girls (Taylor, Tori and Georgie). She loves to travel to her hometown to visit their families. She enjoys fishing, going to the beach, baseball games and traveling. They live with a rabbit, cat, and two hamsters. 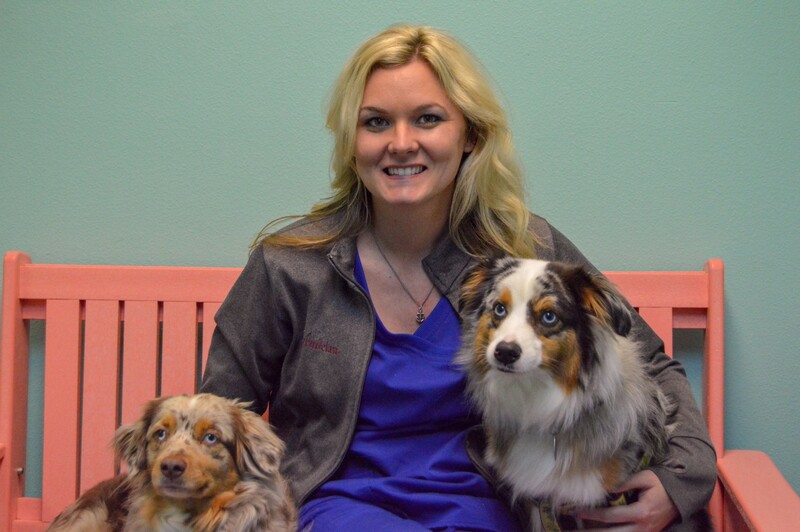 Paige has been a receptionist in a veterinary clinic since 2007 and has been with us since 2011. Paige was the smiling face when you walk in and pleasant voice when you call. She is now more behind the scenes trying to keep our clinic running smoothly. Paige helps to maintain the books, inventory, and keep the computer gremlins from causing too much trouble. Paige grew up in the area and moved to Rockport when she started with us. Her favorite hobby is playing with and showing off her great niece Laney Jade or as Paige calls her “The Princess.” She describes herself as a “word nerd”, loves to read, collect maps and work in her yard. Rose has been with us since 2016. She worked in veterinarian clinics in Florida before taking time off to care for her husband of 14 years and her two beautiful children. She missed the animal care field and came back to renew her knowledge and give her utmost to your pets. 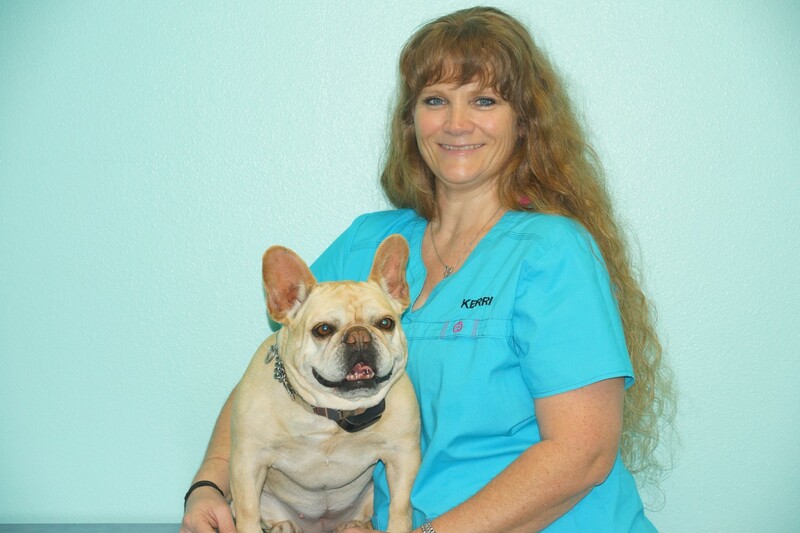 Rose is our lead room technician and helps ensure all your pets receive the proper wellness care they need. She keeps our rooms running smoothly and efficiently. She is a veritable renaissance woman with respect to veterinary care and is able to assist in all aspects of our clinic. My name is Sara Cooper and I graduated from Texas A&M - Kingsville with a major in Animal Science in the Fall of 2018. I have always grown up with and specialized in taking care of pets for the last five years of my life. When I’m not working, I like to hangout with my herd of dogs. Your pet is probably going to be my next best friend! Stacey is one of our friendly room technicians. She joined our team in 2016 and has been an asset to us ever since. 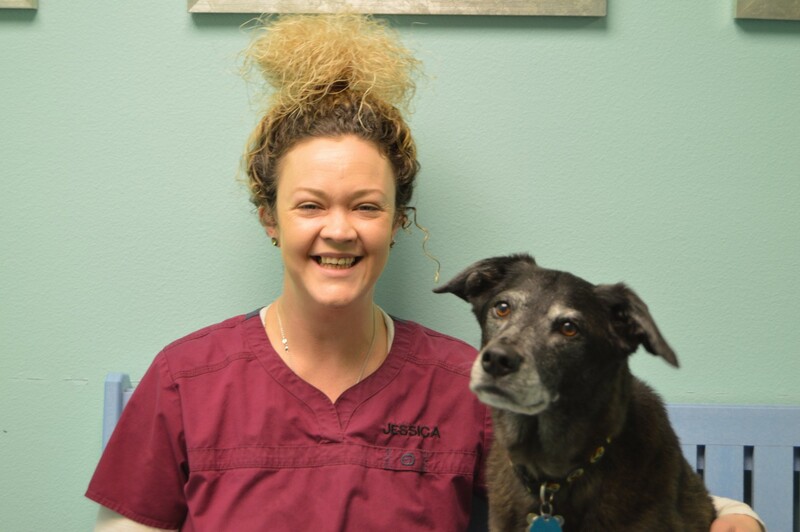 Stacey has a passion for learning and using that knowledge to help our patients receive the best of care as well as helping their owners with any questions or concerns they may have. She is very compassionate, treating every patient as if they were her own with loving care and attention. Stacey is currently attending college to obtain her BSN. She enjoys cooking and entertaining family and friends with barbeques and get-togethers. Stacey loves fishing and boat rides or any excuse to be out on the water. She lives here in Rockport with her fiancé Travis and 6 year old son Zeth. Stacey is passing on her enthusiasm for learning and love of all creatures to her son whose boundless energy matches that of her two mini-Australian shepherds, Axle and Tessa.